For those of us born with western, developed country passports, visa-free travel has never been much of an issue. That fact alone is why most US or western citizens would ask “why do you need a second passport?“, ignoring the options that having dual citizenship offers. Sure, getting a visa as a US citizen looking to visit Brazil is a bureaucratic pain. Ditto for most of us who want to visit Russia. And while there are other random countries that make it challenging to get a visa or e-visa in order to visit, having a US or Canadian or Australian or European passport has been a ticket to a life of easy travel. However, I often compare countries with seemingly everything going on with an advanced location on a Bell Curve. 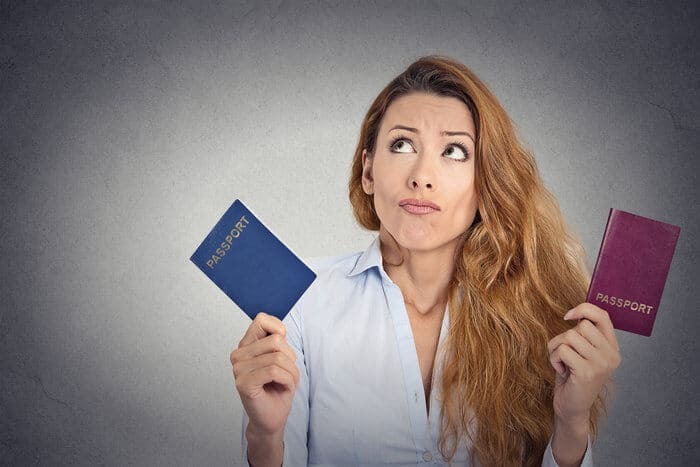 Sure, a US passport offers a lot of travel opportunities, but it also offers a lot of hassles, from citizenship-based taxation to FATCA to FCPA to OFAC. Also, because they are so good for visa-free travel now, most western passports have nowhere to go but down. The US passport in particular may decrease in value in coming years, with the European Union threatening to require Americans to apply for tourist visas, and now even Mexico suggesting that US citizens should pay to visit if Trump continues this talk of building a wall. 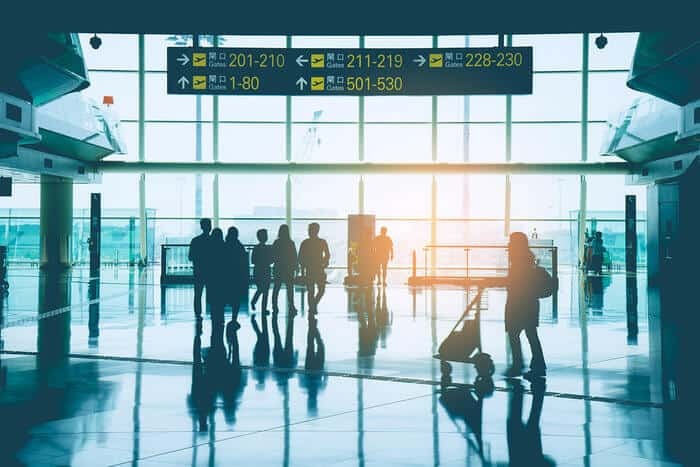 For example, the EU Parliament warned five countries – the US, Australia, Canada, Japan, and Brunei – to issue full reciprocity for visa-free travel. By that, they meant that if citizens of those countries could visit the European Union, then all European Union citizens should be able to visit those countries. The United States is one of three countries (one a dictatorship) to thumb their nose at that demand, and is now in violation of the EU’s reciprocity policy and has been recommended to be removed from visa-free travel. Now, I seriously doubt that Europe will require Americans to get visas, it does go to show that if your country negotiates in bad faith, you could suffer the consequences through your passport. Recently, I was speaking to one of my closest contacts about why more small countries don’t offer visa-free travel to each other. What would be the harm, I suggested, of Armenia and El Salvador allowing each other free travel. Any Armenian with enough money to fly halfway around the world probably isn’t going to choose El Salvador to illegally immigrate to. Her answer was interesting: visa-free travel is a bargaining chip, and not one countries want to give away. And I think she is right. The United States, for all of its negotiating might, does a terrible job at negotiating visa-free travel for its citizens. Of the top ten countries that receive US foreign aid, four of them require that US citizens obtain a visa or e-visa in advance, or pay a fee upon arrival. You would think it could be a pretty standard condition of any foreign aid negotiation to say “anyone who gets money from US has to let our citizens visit”, but I suppose the US is too busy negotiating military bases or other stuff. Ironically, what they are negotiating for (ie: the military) is the costly stuff that results in the need for citizenship-based taxation. It’s a vicious cycle. Countries like South Africa are using their citizens’ need to obtain visas for most countries as a bargaining chip as well, recently firing a warning shot by ending visa-free travel for New Zealanders and threatening to do so to Americans and Europeans as well. The reality is that the United States, nor any other western country, is not the fastest growing passport. That’s no surprise, as there is plenty of room for restrictions to be added, but not much room for growth. However, the world’s fastest-growing passport is from a country you likely wouldn’t expect: Serbia. The government here in Serbia has done an excellent job negotiating increased visa-free travel over the last decade. We learned this when studying various passport indexes to create our own Nomad Passport Index earlier this year. In general, visa-free travel across countries is increasing. Europe’s Schengen Area has added 19 so-called “Annex Level II” countries to its visa-free travel list in just the last two years alone, and a good chunk of the 61 countries that can visit Europe without a visa was added after 2000. That’s the reason that citizens of countries from Peru to Georgia to Timor-Leste can visit Europe with the same visa-free privileges as US, Canadian, and Australian citizens. You can learn more about Schengen visa-free travel by watching this video. What makes a Serbian passport good? Serbia obtained visa-free travel to Europe back in 2009, alongside Montenegro and Macedonia. However, the Serbian passport has taken off substantially since then. Consider that getting a Russian visa can be a major pain and that getting a Chinese visa is a minor pain and you have two great benefits right away. No developed western country that I know of can skip the visa queue for Russia, and only San Marinese citizens can do so for China. Around the same time that Serbia was negotiating its visa policies with Russia and the EU, they were also getting free access to Israel. Next came Turkey, a country which requires US, and some EU citizens, to get an extremely easy e-visa in advance, at a cost of $20. Next came Ukraine, Kazakhstan, Brazil, and Moldova. Then came Japan, a notoriously hard country for Tier B and Tier C passport countries to visit. Last year, Serbians also gained access to Indonesia, which recently opened up its doors to practically everyone, including even Comorians. In addition, the former Yugoslavia visa treaties that allow visa-free travel to hard-to-come-by places like Cuba and Tunisia are still in force. And, according to various news articles and Wikipedia, Serbia is finalizing deals with Azerbaijan, Colombia, Guatemala, Jamaica, Panama, Paraguay, Qatar, Kuwait, Oman, Bahrain and Venezuela. Most of those countries are rather difficult even for some western citizens, so adding travel to those countries will be a real boon for the Serbian passport. Where can’t you go as a Serbian? Basically, the same places very few citizens can go: the United States, Canada, the UK, Ireland, and New Zealand. These English-speaking countries are off-limits to most economic citizens as well as almost any Tier B or Tier C passport. Sadly, these countries also have the most burdensome visa requirements, which often include writing letters and sending blood samples. While Serbia’s western European neighbors such as the UK have hinted at visa liberalization in the past, it hasn’t happened. However, if the Anglophone countries aren’t your thing, you’ll do just fine with a Serbian passport, and I expect things to get even better. The reason is simple: not only has Serbia had lots of room to rise after the break-up of Yugoslavia, but their approach to foreign affairs has been a positive one. They want to repair their tarnished image and have taken a proactive approach few other countries have. While countries like the US are resting on their laurels and their ambassadors are sipping tea at the Four Seasons, Serbia’s government has been negotiating deals for its citizens to travel all over the world. Once all proposed deals are ratified, Serbian citizenship will be an excellent asset to have. You can’t easily get a Serbian passport. I recently came across a few websites promising “economic citizenship in Serbia” for a measly 100,000 euros. While there is no formal citizenship by investment program in Serbia, I figured it was possibly a “gray market” passport program whereby someone had an inside track with the President. The President here can naturalize anyone he wants, as evidenced by his granting of Serbian citizenship to Steven Seagal awhile back. My lawyers here have confirmed that there is no legitimate path to become a citizen here quickly, short of personally convincing the President that you’re worth it. Otherwise, you would need to follow the typical path of obtaining residency, spending some time here, and working toward naturalization. The process takes anywhere from five to ten years depending on your “reason for immigration”, although you can marry a Serbian and become a citizen in as little as three years. Some of the world’s “Tier B” passports are improving in a big way. As you know from reading this blog, the world is changing. No longer is the United States the be-all and end-all admired by all. Today, countries like Serbia are middle-income countries that don’t want to rely on western sympathy and are building their economies and with it, their passports. Serbia is just another example of why getting a good Tier B second passport is a better option in my opinion than many EU citizenships. The potential tax consequences in big western countries are only going to become more draconian in coming years, and their passports can’t get any better. Andrew you have a great blog. Congratulations…..
Dear Andrew, if you think the Serbian passport is so great, I’m sure there will be people queueing to swap with you. 🙂 Sure, it’s great from your point of view that we don’t have to go through the hassle of getting a Russian visa, but the thing is- Serbian people mostly earn around 400€ per month and can’t really afford to go to Russia or China just for the sake of travelling. On the other hand, for Serbian citizens is almost impossible to move to any EU country (and trust me, we try!) and the dream od mobility that is one of the essential rights of a comunitarian is just that- a dream. You’re not right. Serbia is among top five countries in the world for her own population leaving and getting jobs outside of Serbia. For someone who is traveling around world for last 10 years Serbian passport is one of the best in the world. And what are you saying doesn’t have lots of connections to passport benefits, but rather to frustrations of inability of some of seebians to have happier life. Andrew, big fan of the blog, you’ve mentioned Serbia numerous times and I’m planning a trip out to invest and to get a residence permit, I’m just curious, in your due diligence, did you verify that there was no minimum stay requirement? I’d like to get real estate, qualify for a residence permit and then stay there for just under 183 days out of the year, so as to not become a tax resident. Belgrade looks really promising! Buying a condo qualifies you for residency. Even without residency you can spend six months in the year but not in one go. Instead you make two stays of three months. After first three months, you just make a day trip to say Bosnia and come back. Contrary to the popular belief created by CNN, Serbia is quite welcoming. I’m Ivo from Sofia Bulgaria. I agree. I found Toronto is labor class city. The majority of people work for labor jobs which they call ‘real jobs’.. nothing else’s available. All of that sounds great, sure, but as a Serbian I’d much rather take being able to have visa free travel to countries such as the US, Australia, Canada or the UK than most of the countries you mentioned. Most of the people here can’t even afford to travel that far. So while all of things you’ve listed are a big improvement, I still don’t think it’s really as important as being able to go to the states visa free or enough to consider the Serbian passport better than just about any EU passport. I read these words of praise for my government and cannot help but feel the need to describe all the negative aspects of living here in Serbia. All these visa-free passes mean nothing to Serbians, because traveling is considered the highest luxury in our country, where the vast majority of citizens barely have enough money to feed their families. We are a land of cheap labor, as evidenced by the actual average monthly pay check which is about 200 euros. The “official” numbers are skewed so as not to make our government seem as corrupt and destructive as it is. Every person that gets a chance wants to get away from here, either to western Europe or ideally the US or Canada. All in all, I can’t wait to get out of this hellhole. Yes, the grass is always greener on the other side. Serbs always talk about leaving, but thats because they don’t know any better. While the Serbian diaspore always talk about returning. But i think you would be very disappointed in western countries. The streets are not paved with gold, and jobs just don’t come out of nowhere. Yes, the pay is better, but the living standards by comparison are not that great. But the thing that most Serbs find the hardest is the social atmosphere. Western countries are death. You don’t have the same sense of family or community and it can be a cold and lonely place. “Yes, the pay is better, but the living standards by comparison are not that great. But the thing that most Serbs find the hardest is the social atmosphere. Nice blog post i shared on FB and WeChat China! Cheers from Serbia ?? Montenegro imposed sanctions on Russia last year. Montenegrin citizens require a visa to go to Russia now. Citizens of Montenegro require visas to go to China. I don’t know why you think it’s easier to get to Turkey with a MNE passport then with a Serbian one. Never had any problems except long ques at Attaturk airport. With Montenegrin passport you need visa to enter China. Interesting post, worth noting that Serbia isn’t in the EU (yet), despite this it’s still great news for Serbian citizens wishing to travel visa-free. You dont need a visa for Hong Kong and Macau (both in China). Ralph Fiennes just got Serbian citizenship from the president. Excellent post. I have an Australian passport which has certainly made our travels so much easier, but travelling to Russia and Tunisia and Macedonia in 2007 it was fantastic to have the Serbian passport at hand. I,m proud that Serbia has made such positive steps in international and diplomatic relations? Great article, even all mention is true and Serbia as a country (history, nature, people….) is an amazing place to live there is one sad fact – the economic situation is bad. Like so bad, that for example, 50% of my university colleagues left county- with them me too. So for foreigners is great if they work for foreign companies and have “western” salaries because the cost of living is low, the country is very safe, food is healthy, and social lifestyle is one of the best in Europe… But for locals, and here I mean middle-class workers life is f… hard. I will recommend anyone who wants to move to South-East Europe to choose Serbia but only if they have high paid because that will not find there for sure 🙂 . 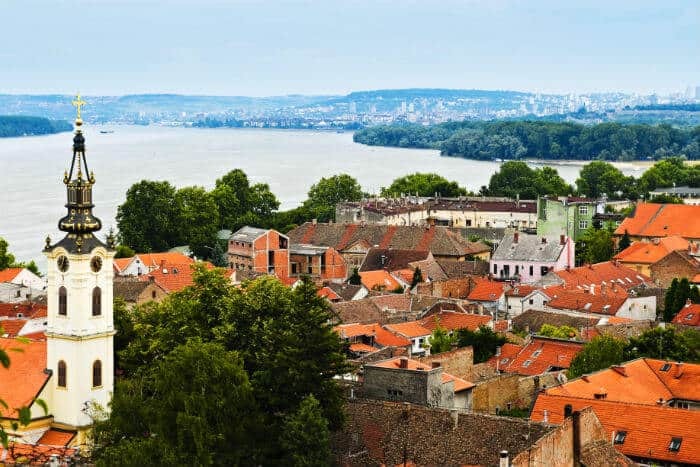 Can you provide tips on settling down in Serbia as permanent resident not as citizen. I think that the Serbian passport in combination (double citizenship) with a western passport (EU, GB, USA, etc…) is the best match that a person can have! You’ll be allowed to travel all over the world without any problem! Same thing about Seychelles or Grenada passport (not for Mauritius passport because Mauritius doesn’t allow the double citizenship). Essentially… “Buy low, sell high” but withouth the “sell high” part, since you can’t sell it. It’s an educated gamble, like any other investment. But, unlike money, citizenship value has a natural upper limit. Those which are already at or near that upper limit, cannot be more valuable over time. those which are below it, can become more valuable. They could also get worse. But those already at max, cannot do anything but get worse. It shouldn’t be hard to understand for people who make value-based decisions their whole lives. It’s a simple concept they’ve run into before. I was considering Dominica/St. Lucia, but you, and this example, have shown me that Comoros might actually be useful. My “base” is Thailand, and one can buy a visa there, for even cheaper than a Comoros citizenship, that allows you to pretty much stay there, with total disregard to your citizenship. Bosnian Serbs all have Serbian passport and just recently I’ve heard that for those working on a black market in EU they use Bosnian passport for the first 3 months and then they get out and enter with Serbian passport and they do it every 3 months. I’ve always valued my Serbian family lineage. My maternal grandfather, Slavko Romčević, is Serb as were his parents, my great grandparents. He emigrated to US back in 1922 from what as then the Kingdom of Serbs, Croats and Slovenes. He never forgot his Serbian roots, though. He was a racing car driver they call The Flying Serb–and died in a race crash in 1952. Researching citizenship, it looks like I might have a chance to qualify for Serbian Citizenship under Article 23 (via being a member of the Serbian people). I would welcome the opportunity to do that and your article gives me added reason on top of family lineage and tradition, it appears.